Conor MacRae may not be a stellar student, but the half-Japanese 11-year-old is a champ on the ice. Conor lives and breathes hockey, especially with imminent tryouts for the Grizzlies, a AAA team. 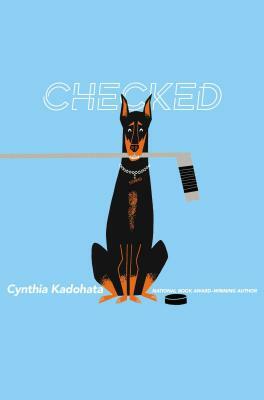 When Conor’s pet Doberman gets cancer, he has to decide whether to give up expensive hockey lessons to pay for Sinbad’s chemotherapy. Revealing the sacrifices young athletes and their families must often make, National Book Award winner Kadohata (The Thing About Luck) creates a deeply poignant story about a boy sorting out his priorities. Conor fills readers in on a wealth of hockey details, slowing the pace somewhat, but his problems are deeply relatable, and Kadohata never sugarcoats harsh realities. Conor’s hockey commitments contributed to his father’s and stepmother’s divorce (“When a kid plays travel hockey, it takes up a lot of space in your life. Some people don’t like that”), and their precarious financial situation is viscerally felt. Despite its sad moments, Kadohata’s story is uplifting on balance, sensitively showing how Conor’s hardships have made him wiser and more realistic without diminishing his passions.